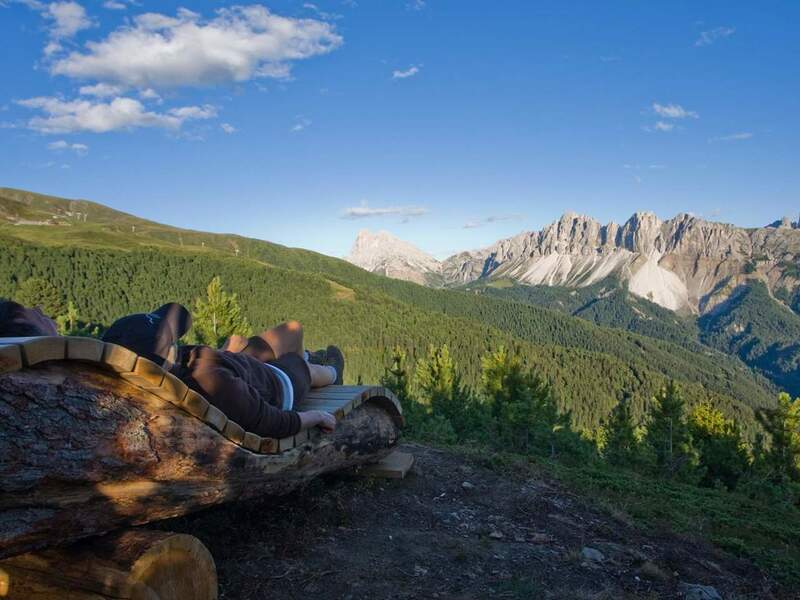 Next to the episcopal city of Brixen in Eisacktal, Plose offers numerous possibilities: a wide range of hiking paths and mountain bike tours as well as countless attractions such as Plose Looping or a mountaincart descent make Plose a popular destination for small and big adventurers. In winter, Plose skiing area awaits you with perfectly prepared slopes, RudiRun toboggan run and a funpark. In summer, Plose is an easily accessible biking and hiking region with a multifaceted offer. 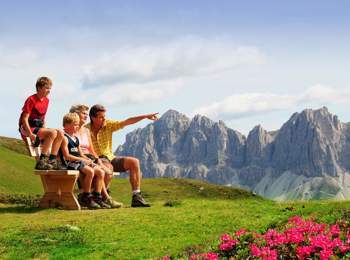 Here, adventurous kids as well as nature lovers or sportsmen will feel like in paradise. 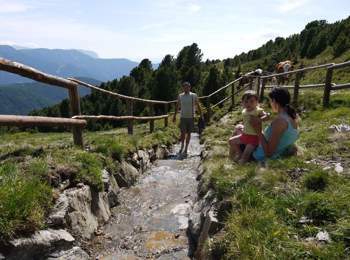 The valley station of Plose cableway is situated only seven kilometres from Brixen. From here, a gondola lift takes you to an altitude of more than 2,000 metres within a few minutes. 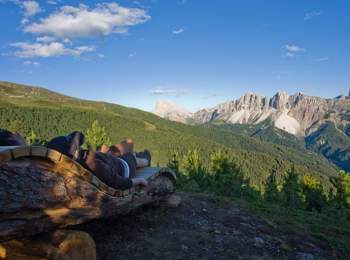 Arrived on top, you can enjoy a dreamlike view over Puez Geisler Group in the Dolomites, part of UNESCO World Natural Heritage –, over Eisacktal valley as well as over countless hiking paths. The WoodyWalk is ideal for families, a circular route with numerous exciting stations for discoverers which is also possible with buggies. 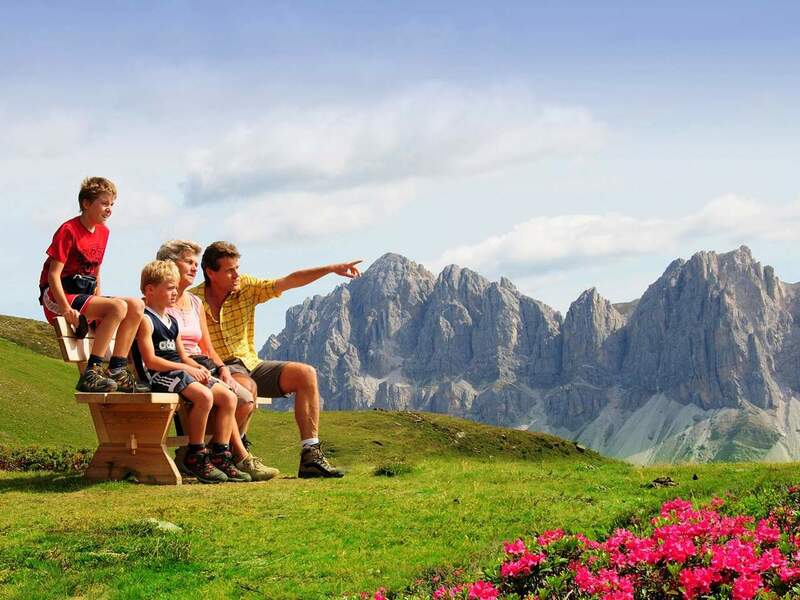 If you would still like to go higher, you should take Pfannspitze gondola lift bringing you to almost 2,500 m and allowing to enjoy a breath-taking panorama without much physical effort. 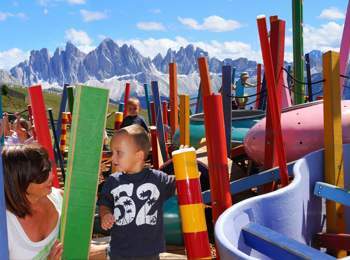 Several times a week in summer, there is the possibility to descend with mountaincarts, off-road go-carts on three wheels on a nine kilometres long track from Plose top station to the valley station. The rapid run is fun for the whole family. As well, geocaching, a modern treasure hunt with GPS is another interesting activity. With the broad variety of mountain bike tours and the cool single trail Flow 6.6 KM, Plose is biking paradise. If you are looking for adrenaline, you should try a special bike route at Plose Looping or a tandem flight with professional tandem pilots. 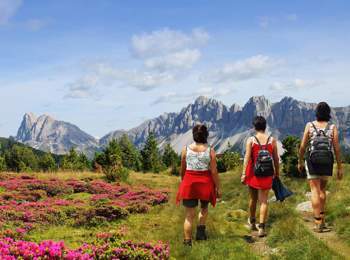 Moreover, Brixen Dolomites Marathon is a highlight for passionate sportsmen and sports fans. In fact, one of the most wonderful mountain runs in Europe, goes from Domplatz Square in Brixen to Plose summit. The four relay sections are perfect training tracks for trail runners. 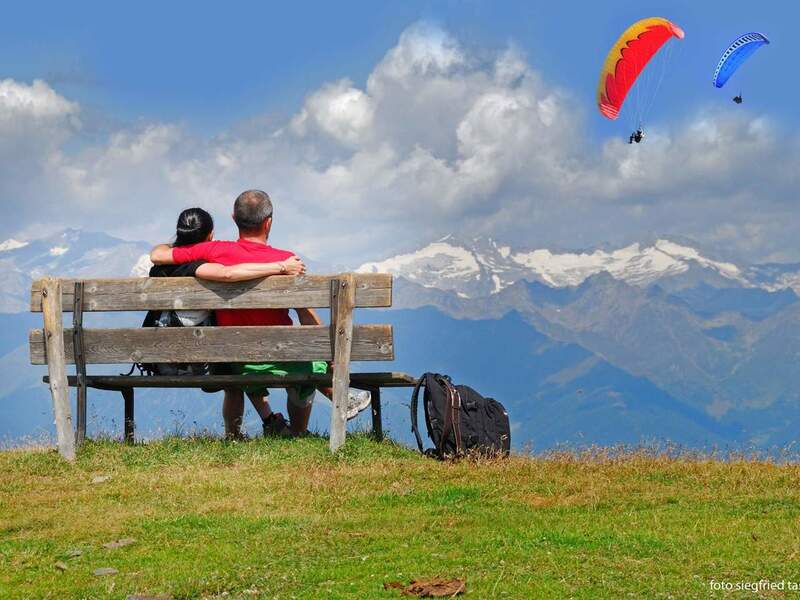 After so many adventures in the clear mountain air, the romantic city centre of Brixen is a wonderful alternative. The cathedral and Hofburg palace impress with cultural treasures. As well, the shady arcades offer beautiful shops, traditional restaurants and inviting cafés. For each weather, the indoor and outdoor area of Acquarena swimming pool in Brixen is perfect for relaxing moments with the entire family.